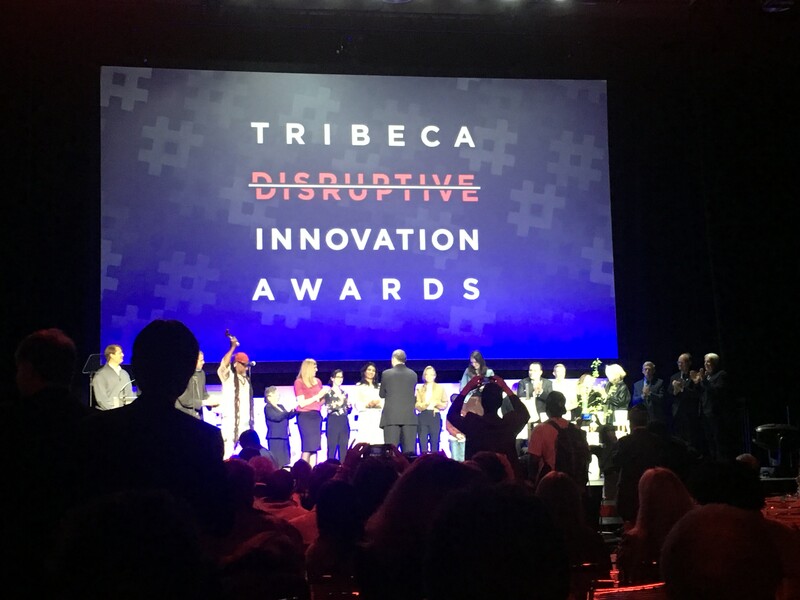 Thanks to our friends over at the AIGA, we got to attend The Tribeca Disruptive Innovation Awards this week which honored various innovators, disruptors and game-changers who are positively impacting the the world. Co-founded by Professor Clayton Christensen, Craig Hatkoff and Irwin Kula in 2009, the foundation is a non-profit whose mission is to raise awareness of and encourage the advancement of disruptive innovation theory and its application in societally-critical domains. Hosted by Tamron Hall, this year marked the ninth annual awards and every single honoree was an inspiring standout. Listening and just being in the presence of these incredible honorees left us full of hope, ambition and motivation. Below are all of the 2018 honorees. Click here to learn more about the awards and honorees.